Gingivitis is inflammation of the gum tissue and it’s an extremely common disease that can lead to receding gums. Gingivitis is a real epidemic – about 95% of all adults suffer from periodontal disease of some degree during their lifetime. 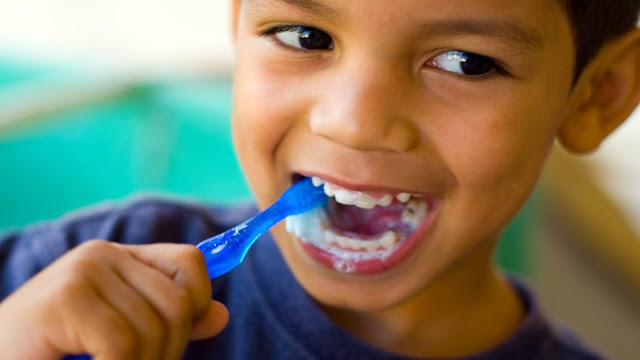 The source of the inflammation is bacteria that inhabit the oral cavity, infect the teeth (plaque), hardens and become tartar, so one of the best ways to prevent gingivitis is to get rid of the bacteria. This article will discuss the symptoms of gingivitis, the risks of severe gingivitis, and the best home remedies to treat gingivitis. Gingivitis is characterized by redness and swelling in the gum tissue, bleeding while brushing the teeth, tenderness or pain in the gums, a bad taste in the mouth, bad breath, formation of pus between the teeth and gums and more. Chronic gingivitis can lead to periodontitis, which is more severe gingivitis that can lead to teeth loss and receding gums. Read on to find out how to naturally prevent and treat gingivitis to avoid teeth loss and receding gums. Periodontitis is a silent disease, and frequently the only visible sign is seeing blood in the sink following tooth brushing, until the disease reaches an advanced stage when teeth move position or become mobile. Periodontitis is ‘kick started’ by bacterial plaque accumulating at or below the gum boundary with the teeth, which triggers inflammation both locally and in other parts of the body. The bacteria can also enter the blood where they stimulate a protective response from the liver and also excessive release of damaging antibacterial agents from the white blood cells. Both responses aggravate the inflammation, which may damage blood vessel walls and other distant organs/tissues. There is good evidence that periodontitis affects blood sugar levels in diabetes patients, and makes heart and kidney complications of diabetes worse. Aloe vera has many healing properties. Similar to its use on skin, aloe vera is used to cleanse and soothe teeth and gums. The Journal of Indian Society of Periodontology published a study on its July 2013 issue in which it was concluded that aloe vera mouthwash can be used as an add-on therapy for treating plaque-induced gingivitis. You can fight gingivitis with honey due to its anti-bacterial and anti-inflammatory properties. Apply a little bit of natural raw honey directly on the infection.